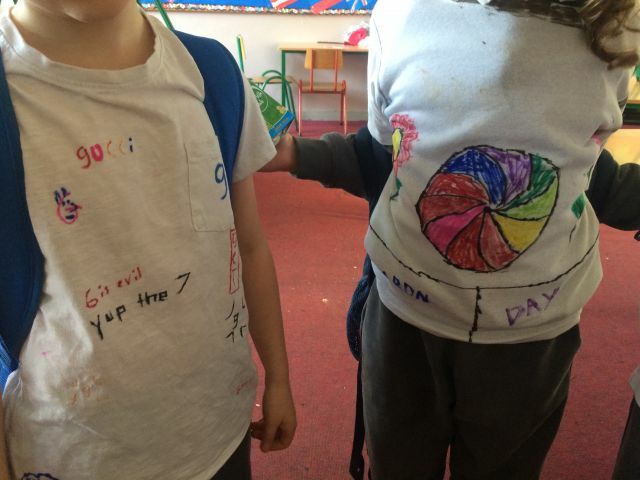 On Friday, the boy in the two 5th classes brought in old t shirts that they were going to upcycle. We planned it a week before we began. We used different colours, doing the artwork with markers and stencils. Once we had completed the t shirts, we all wore them for everybody to see. One boy was so proud of his new t shirt, that we wore it to school today, Monday.